A luxury home on an exclusive road near Wimbledon collapsed in the middle of the night, leaving windows shattered and debris littering the site. The millionaires’ row home, next to Richmond Park, had been undergoing renovations and reportedly collapsed after work in the basement was not properly supported. Council plans show the owner was seeking to remove a swimming pool and build a two-storey side extension. Councillor David Cunningham, who has responsibility for regeneration in Kingston, said: ‘The owners of this building submitted a building regulations application just two days ago and have therefore carried out works without our guidance and approval. 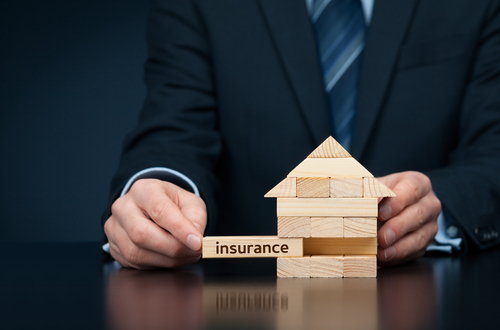 When undertaking and extension or conversion works, it is essential that homeowners have the correct site insurance and Non-Negligence (JCT 6.5.1) cover in place. Extension Site Insurance will adequately cover the home and all the new works, materials, plant equipment as well as your liability to others and has been specifically designed to give you the protection you need. in most cases, subject to underwriting the existing structure and new works would be covered in the event of a collapse, extension Site insurance will cover you if your home collapses while creating a new opening through to the Extension. Home insurance may not. We provide Employers’ and Public Liability insurance as standard as we know that other people, including family and friends, could be working on site and they may get injured or someone may cause damage to a third party or their property. It is important that they are adequately protected and that also includes the cost of defending and/or pursuing a claim. If you have a Party Wall Agreement in place with one or more neighbours, you will probably be responsible for rectifying any damage caused to their property (however serious) so you should seek professional Party Wall advice in this respect and make sure you have adequate cover in place. We can also provide JCT 6.5.1 Insurance.